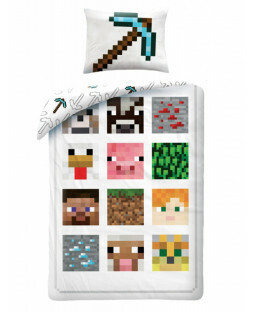 Bring blocks of fun into your bedroom with our range of Official Minecraft Duvet covers in double and single sizes, cushions and towels. 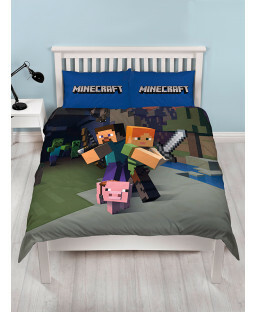 These Minecraft gifts are perfect for any Minecraft loving boys’ bedroom or girls’ single bed, with designs from the game including heroes Alex, Steve and Baby Pig taking on the iconic Creeper baddie. 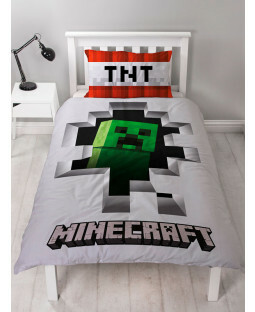 If you love the blockbuster building game and know your Zombies from your Creepers and your cobblestone from your coal, you’ll find the ideal Minecraft bedding and gifts right here. 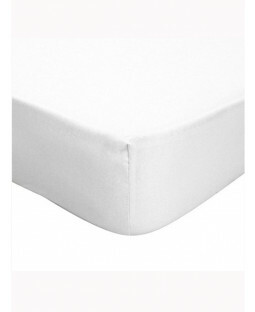 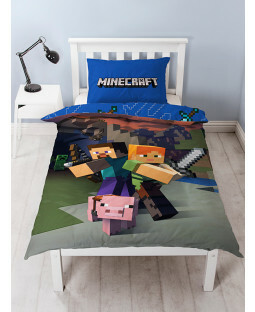 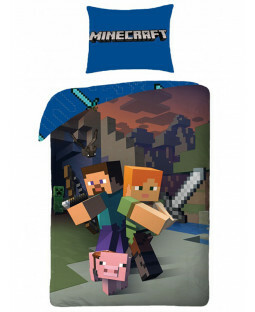 Cover your single or double bed in a cosy Minecraft duvet and pillowcase set which come in plenty of sizes and are crafted from a machine washable cotton blend. 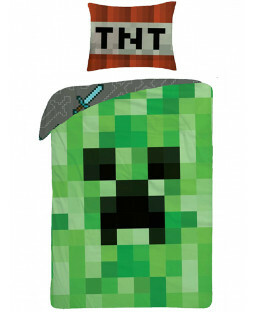 For intrepid adventurers our Minecraft towel is great for the pool, beach or bath and features a couple of creepers and chest down a mine. 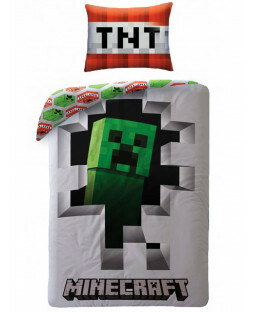 If you’re looking for a scary Christmas stocking filler or Halloween treat look no further. 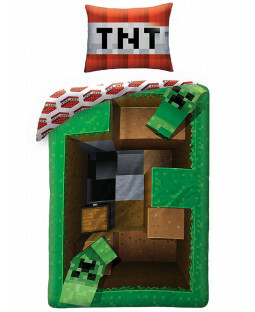 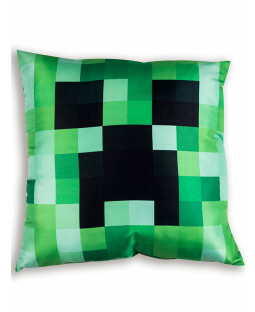 The Minecraft Creeper Cushion features the game’s most formidable foe, the green headed Creeper’s face with a TNT block on the reverse.